Sometimes, some of the best innovations in home renovation involve features that have existed for a long time. These include utilizing unused spaces and innovating new features from older technology. And while you can’t say that window glass isn’t exactly old technology, these innovations can turn vinyl and wood window replacement into multipurpose projects in the future. We’ve become fairly used to getting natural light from windows, so why not take this a step further and make the windows our light source? One of the emerging glass technologies involves turning window panes into self-luminous fixtures. This reduces the space required for light fixtures in rooms with windows and also solves the problem of shielding sensitive eyes from bright light fixtures if the windows have blinds or drapes. Turning your windows into a fully transparent solar power source can be one of the best things you can do with them. While mass-produced transparent solar panels aren’t a thing yet, one of the emerging technologies covers specifically that. And while it’s going to take some time before your wood window replacement becomes a power generating tool for your home, this kind of technology has the benefits of being useful, energy-efficient and eco-friendly. Imagine stepping into your living room after a long day at work. All you want to do is to kick back on the sofa and watch TV. You pick up your remote, press a button and suddenly the picture window across your sofa blacks out and turns into a TV. One of the things TV giant Panasonic is working on is the technology that lets you do this. 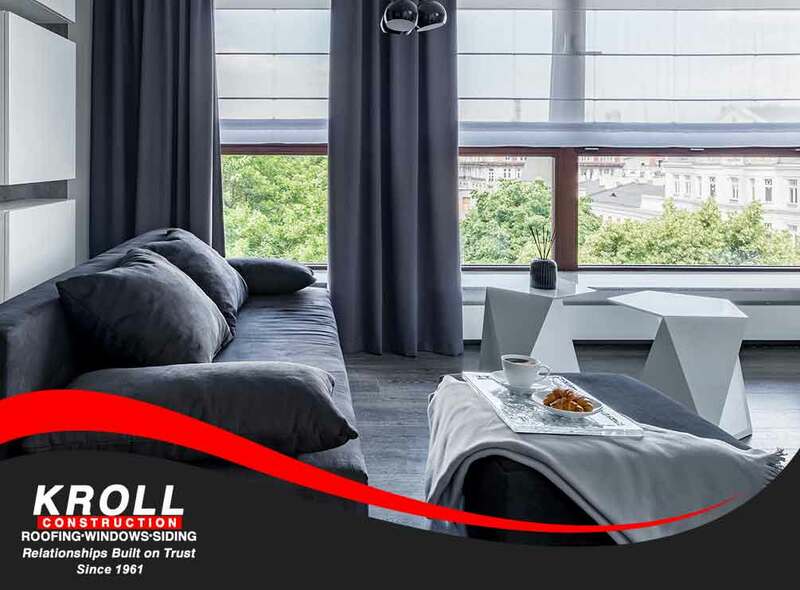 Kroll Construction keeps an eye on the future of wood window replacement by incorporating the newest developments into the services we offer you. Find out more about our window products and services by calling (844) 688-9632 or by completing this form. We serve residents of Detroit, MI, and other areas in the state of Michigan.